Since this is National Dog Bite Prevention week we thought we’d give you a few tips to keep you safe. More than 4.5 million people in the U.S. are bitten by dogs each year, with children being the most common victims. A dog bite can be a serious injury and pose major health risks, and big or small, even the friendliest dogs can bite if provoked. The good news that almost all dog bites are preventable, and there are plenty of things you can do to ensure you, your family and your friends don’t suffer from one. 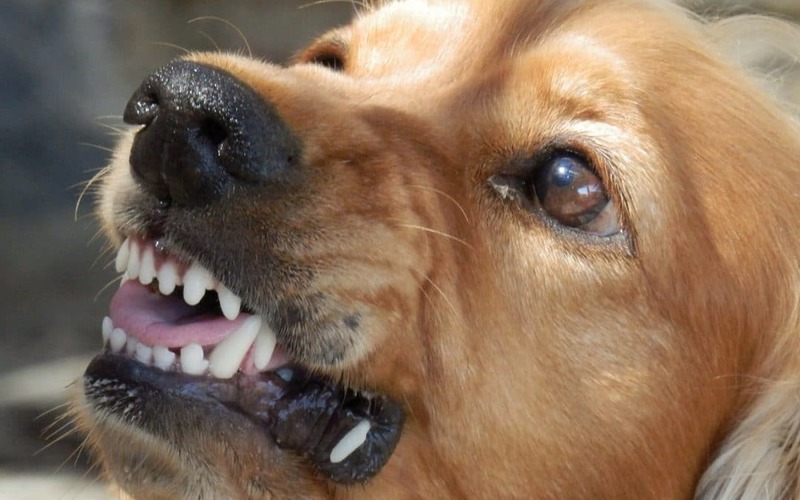 In order to prevent a dog bite from happening, it’s important to understand what may cause a dog to bite in the first place. Dogs bite for a number of reasons, but most often the bite is a reaction to something. If the dog is feeling defensive over territory, food, or personal space they may lash out and bite. Dogs may also bite because they aren’t feeling well or if they are in a stressful situation. Aggressive behavior – Ears up and forward, fur on back and tail standing up or puffed out, tail straight up, stiff and straight-legged stance, baring teeth, growling, lunging, barking, direct stare. Anxious behavior – Crouching, lowering of the head, repeatedly licking of the lips, tail between the legs, ears flattened back, yawning, avoiding eye contact, remaining very still, rolling on their back and exposing their stomach, backing away from the perceived threat, snarling, growling. Depending on the situation, a dog can show a mixture of both aggressive and anxious behaviors. It’s in your best interest to avoid any dog showing signs of aggression, anxiety, and fear. Keep in mind that a wagging tail does not always mean that a dog is feeling friendly. Do not approach any dog who is sleeping, eating, chewing on a toy or bone, or caring for puppies. Do not pet an unfamiliar dog without permission from the dog’s owner first. Avoid petting an unfamiliar dog on the top of the head. Spay or neuter your dog as soon as possible, as fixed dogs are less likely to bite. Make sure your dog is well socialized. Introducing them to new people, situations, and other dogs helps them to feel more at ease when those situations arise in the future. Always ensure that your dog is on a leash in public and that you are in full control of your dog. Enroll your dog in training classes where positive reinforcement is used. If you are knocked over by a dog, curl into a ball with your head tucked in and your hands covering your ears and neck. Do not encourage aggressive play. These are just a few simple ways you can prevent a dog bite. All of our pet sitters at Karla’s Pet Care are trained to avoid other dogs and people on their walks in order to avoid any potential dog bites. If we see a loose dog, a person walking or a person walking a dog, we will cross the street (if possible) to avoid confrontation. Remember, any dog can bite, but by understanding a dog’s behaviors and the risks for dog bites, you can greatly reduce your likelihood of being injured.